Mexico City is known for museums, historic sites, nightlife, shopping, and nature. 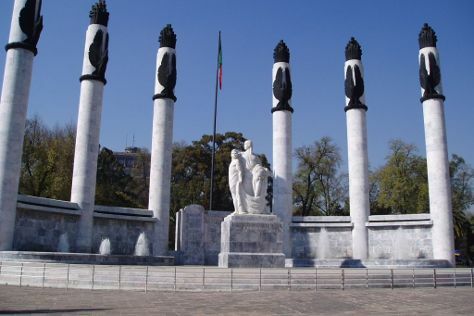 Your plan includes some of its best attractions: see the interesting displays at National Museum of Anthropology, explore the ancient world of Metropolitan Cathedral (Catedral Metropolitana), step into the grandiose world of Chapultepec Castle, and explore the world behind art at Palacio de Bellas Artes. To find more things to do, photos, reviews, and more tourist information, read Mexico City route planning tool . If you are flying in from United States, the closest major airports are Licenciado Benito Juarez International Airport, Querétaro Intercontinental Airport and General Francisco J. Mujica International Airport. In June, daily temperatures in Mexico City can reach 76°F, while at night they dip to 57°F. Finish up your sightseeing early on the 25th (Tue) so you can travel back home.